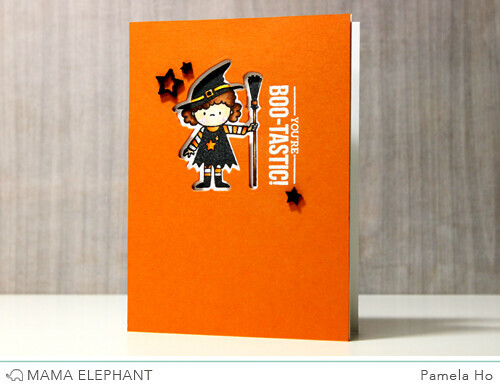 mama elephant | design blog: Bootastic with Pamela! Do you have the Bootastic stamp set? Coordinating dies are here! 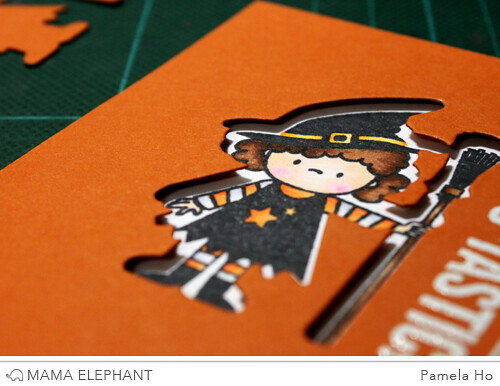 No more fussy cutting and these dies will let you build an army of cute kids! 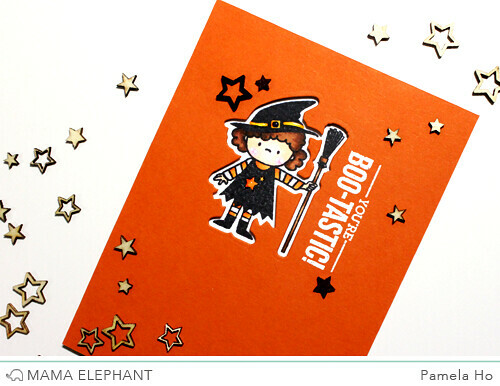 This is Pamela on the blog with a card using the new Bootastic Creative Cuts. 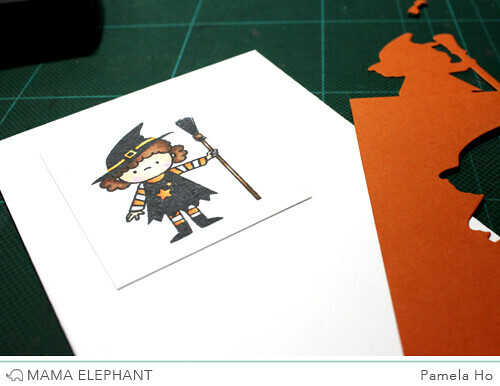 I used the cute witch from the stamp set and I die cut a window from a piece of orange cardstock. I then stamped the witch onto a piece of cardstock and coloured it with my copic markers. I then heat embossed the sentiment in white directly onto the orange cardstock. Using some foam adhesive, I adhered the orange to my card base. Some wood veneer stars here and there and the card is finished. I love that bold white against the orange cardstock! Be sure to come back later this week for more inspiration! I can't tell you how much I love this stamp set; I ordered it from MarkerPop! and I am anxiously awaiting it's arrival! And THIS card is one of the many reasons why I love it so much! So, so adorable and wonderfully festive! I love how there's coordinating dies now! Super cute card! Cute, cute, cute I love this little witch!